Lubrita India Pvt. is an automotive and industrial lubricant manufacturing and marketing company. Lubrita Brand expand and operate actively in India and continuously keep growing in Asia! For better Brand visibility and indentification on the market, one good example (see picture) of Lubrita oils branding at sales point in India. Lubrita oils production at Mumbai plant on PPL basis (principal-principal basis), which has plant production capacity of 120 million liter /annum. 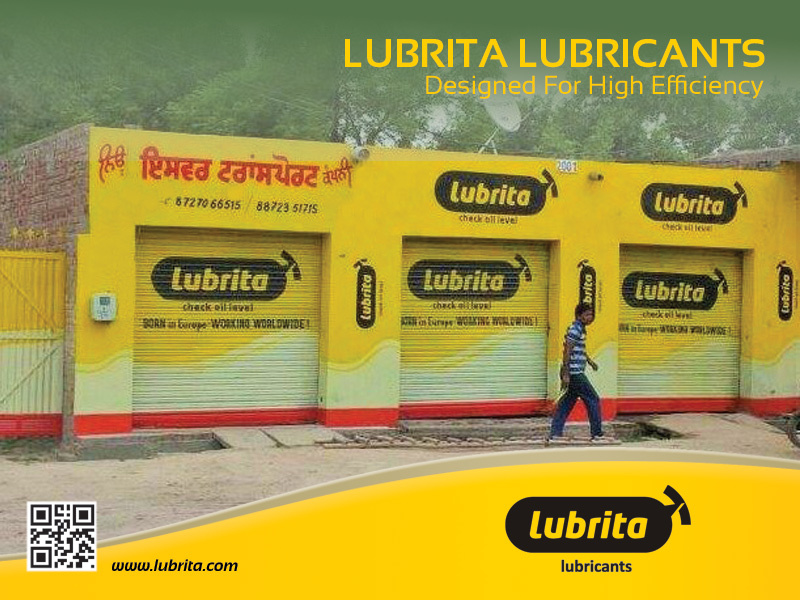 From Lubrita India head office, we are covering Asia region and supply outstanding performance lubricants, motor oils, motorcycle oils, industrial oil to the market.